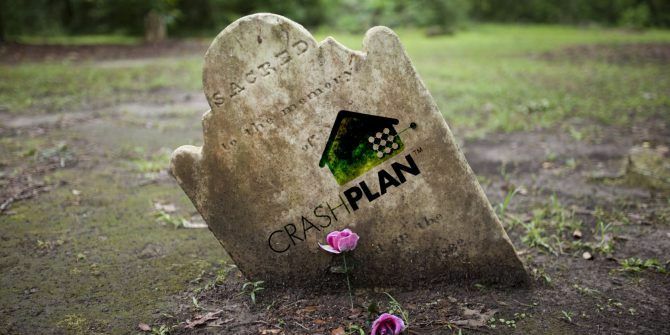 Cloud-based data backup provider CrashPlan recently announced that they’ll be closing the home user side of their business. If you have a subscription to back up your computer, the software will keep working until your plan runs out. We will honor your existing CrashPlan for Home subscription, keeping your data safe, as always. To allow you time to transition to a new backup solution, we’ve extended your subscription (at no cost to you) by 60 days. After that, you’ll have to come up with a new solution for backing up your files (unless you want to switch to the small business plan). You have plenty of options for new backup services. That’s not going to be a problem. But what if you’ve been using CrashPlan for years and have gigabytes of data stored on their servers? You don’t want to lose that. Any decent backup software is going to have a monumental amount of data in storage if you’ve been using it for a while. Especially one like CrashPlan with essentially unlimited storage and automatic versioning. I’ve been using CrashPlan for five years and I have almost 120GB in storage on the CrashPlan servers. Many of you probably have many times more than that. Even if you only back up the folders you use most often, like documents and application files, you’re going to have a lot of data. You can download everything and keep it on an external hard drive 7 Things to Know When Buying a Data Drive for Backups 7 Things to Know When Buying a Data Drive for Backups Thinking about buying a data drive for storing file backups? Here's what you need to know if you want to make an informed decision. Read More or upload it to a new backup service. The quicker option is to just grab the important files that you know you should keep. In my case, CrashPlan will restore the most recent versions of the files to my desktop. Unless you have enough room on your hard drive to store all the files, you’ll want to change that location to an external hard drive. To restore only a selection of files, you’ll need to use the interface to select the files you want. Click the arrows next to any folder to expand that folder, and click the checkbox next to a folder or file to select it for restoration. Again, choose the location where you want to download the files, and click Restore. Which files should you restore? I’d recommend your Documents and Photos folders. And if you’re a home video enthusiast 10 Simple Tips To Make Home Videos Look Professional 10 Simple Tips To Make Home Videos Look Professional As mobile phone cameras have gotten progressively better, they've become reliable tools for recording videos on the go. Here are 10 tips for making your videos look professional. Read More , your Movies folder as well. It’s easy to re-download applications and any music you’ve purchased online, and they’ll add to your download time. If you’re downloading more than a couple of gigabytes, this process could take several hours (I estimated about 3.5 hours for my own download assuming no other applications are using much bandwidth, but it could be much longer). Now that you’ve got the files you need back from CrashPlan, it’s time to figure out what to do with them next. Download all your CrashPlan files to an external hard drive (or network attached storage 7 Reasons to Use a NAS for Data Storage & Backups 7 Reasons to Use a NAS for Data Storage & Backups External hard drives are great for data storage, but there are many more benefits to using a network-attached drive instead. Here's everything you need to know. Read More ). 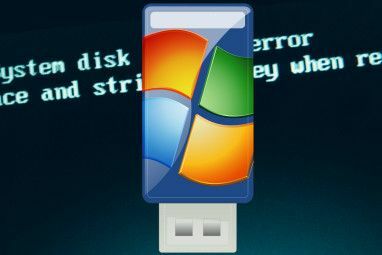 Download your most important files to your computer’s drive. Upload some or all your files to a new cloud backup. This way, you’re covered in case of just about any disaster. Now that CrashPlan is calling it quits, you need to choose a new provider. There are tons of options out there, and some are even offering great deals to CrashPlan subscribers. CrashPlan has specifically recommended Carbonite as a good replacement for their services. It’s consistently received high praise and is a solid option for storing your backups. There are plenty of other reputable services out there, but Carbonite and Backblaze stand out as two that have been frontrunners for a long time. Some services support backing up to external hard drives, which you’ll need if you’re hoping to again back up everything from CrashPlan. Once you’ve decided on a new provider, you should upload your old backups immediately. 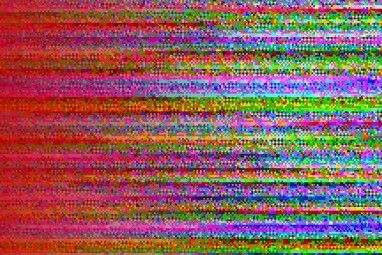 The worst kind of an emergency is a hard drive failure 5 Signs Your Hard Drive Is Failing (And What to Do) 5 Signs Your Hard Drive Is Failing (And What to Do) Since a majority of people today own laptops and external hard drives, which get dragged around quite a bit, a realistic hard drive lifetime is probably around 3 - 5 years. This is an extremely... Read More . Bad things happen, and you don’t want to lose all that precious data. The exact process you’ll go through depends on which provider you use. But if you put your CrashPlan backup files in a folder that you have set to back up with your new service, they’ll get transferred to the server. If your files are small enough, you could also store them on Dropbox, Google Drive, or iCloud storage as well. Make sure you properly back up those files. You might be tempted to just start anew with Carbonite or Backblaze, but you never know when you’re going to need some of those old files. Trust me: if you don’t back them up again, you’ll discover that you need something just after CrashPlan trashes it from their server. When your CrashPlan subscription expires, it’s going to be very easy to completely forget about backing up your computer The Ultimate Windows 10 Data Backup Guide The Ultimate Windows 10 Data Backup Guide We've summarized every backup, restore, recovery, and repair option we could find on Windows 10. Use our simple tips and never despair over lost data again! Read More . It’s one of those things that you could easily put off forever. But don’t fall into that trap! Keep all your backups fresh and make sure they’re available, even when your beloved and long-time provider of many years has decided to kick you to the curb (no, I’m not upset that CrashPlan is closing…). What will you be switching to now that CrashPlan is going away? Have you downloaded all your backups yet? Share your thoughts in the comments below! "You can download everything and keep it on an external hard drive "
Unfortunately that will not delete your data from CrashPlan's servers. They will have a copy of your precious and sensitive data to do with as they please. Should have used an external drive for backups all along. "upload it to a new backup service." ROTFLMAO! Surely you jest?! And face the same problem in a little while? After two companies in a week cynically decided to dump their home customers and support only corporate accounts, you have the cheek to suggest that the readers hand over their data to another backup service. And if that company dumps you? How many different backup services will have a copy of your data before 'privacy' and 'security' lose their meaning? The corporate world runs on "me-tooism" or "follow the leader". If one company finds a novel way of making money, other companies follow suit. There's a fairly simply fix: subscribe to a small business plan. I assume the Home users were dumped because some datamining revealed that X% of their users were storing some insane number of terabytes of data apiece. This is probably what killed Amazon Drive's and OneDrive's unlimited storage options as well, and $10/PC/month makes a lot more sense at that scale than $150/5 PCs/year. If you need a bulk backup, dump everything you want in Crashplan on the one machine you really need backed up or else learn how to set up an iSCSI target so all your data appears local. What was the other company to do this? My mistake. MUO had two articles on CrashPlan getting out. But I would not be surprised if others did not follow CrashPlan's example. Must be hard to be so distrusting and suspicious. CrashPlan and most other backup providers design their systems intentionally so they *can't*access your data - hence, the private key only you know to decrypt your data. "Must be hard to be so distrusting and suspicious." 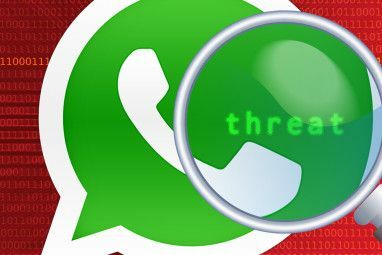 It is as 'distrusting and suspicious' as you using different passwords for each one of your accounts. If you wish to be 'trusting' and share (store) your data in the cloud, that is you prerogative and your data. I choose to keep my data to myself. And, yes. I do make sure that my tin foil hat sits tightly on my head. Crashplan had a linux client. Most all others do not. I have 3 linux laptops and 1 Windows laptop on Crashplan Family account. Nothing out there compares to overall price and cross compatibility. Crashplan family was 150 dollars per year for up to 10 computers. Backblaze doesn't have a first-party Linux client, but it does work with a number of third party applications. In your specific case, you could probably get away with shipping off /home on your Linux machines plus whatever you need to get off your Windows machines and just running Crashplan Small Business Edition one of your computers so your stuff can stay online. This would be a good application for btsync or Owncloud, albeit at a cost of some complexity. Isn't CrashPlan the second online backup provider that turned its back on home users in the past couple of days?